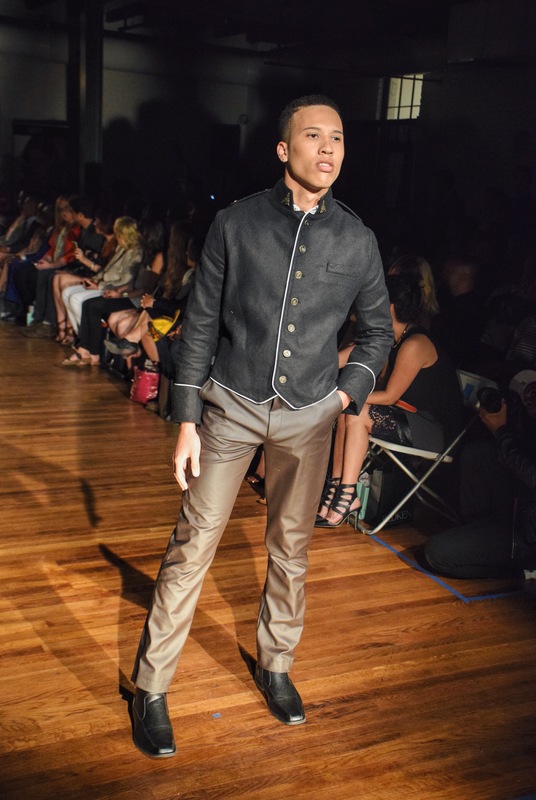 D deMonch by Deanna deMonch shows menswear with a civil war flare. The 8th annual RVA Fashion Week presented by Redken and UZURV was held this past week throughout The River City. RVAFW is a week long event held each spring that promotes the design and art community here in Richmond. This year RVAFW is working with Dress for Success Central Virginia to promote the charity. Dress for Success Central Virginia helps empower women by providing access to professional attire, network support, and development tools such as interview training to get them started in the working world. Fashion conscious Richmonders gathered all week to view the new collections of local designers. The last two days were held at the newly renovated Hofheimer Building on Broad Street. Friday April 22nd was the emerging designers show. Exposed beams and brick walls set the tone for cool designs. The collections ranged from feminine formal wear, cool men’s street wear, to flowy resort wear and swimwear. Collections were shown by the emerging designers: PLV by Markie Colden, Grace Nelson, Haus of Klyde by Klyde Wright, Stitch89 by Chanel Green, TJ Sewer by Tabitha Sewer, Tough Cookie by Corlette Dixon, and Tangees Closet by Tangee Massey Jones. Tangees Closet by Tangee Massey Jones gave a bohemian 70s flare with crayola crochet swimwear juxtaposed with modern cuts and silhouettes. 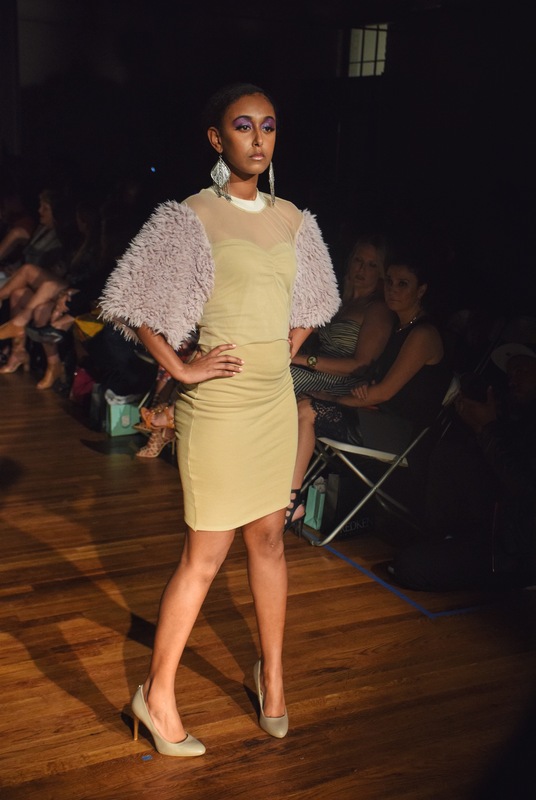 Saturday April 23rd, again at the Hofheimer Building, was the Finale Fashion Showcase. Collections were shown from designers and boutiques around the Richmond area. The boutique collections shown are all available for purchase. Designers showed more avant garde pieces with great construction, while the boutiques showed ready to wear pieces perfect for the everyday Richmonder. Designers D deMonch by Deanna deMonch, Angelia’s Couture by Angelia Cooper, Luxe by Da’vid Montoya, LaPosh by India Watson showed their spring collections. LaPosh by India Watson played with sheer & teddy fur accents on formal wear adding a playful edge. Boutiques Firefly Lane, Eurotrash, S.E.E. Boutique, 707 Menswear, and Bliss at 5812 debuted their spring collections available now for purchase. Both nights displayed amazing talent the Greater Richmond area has to offer. 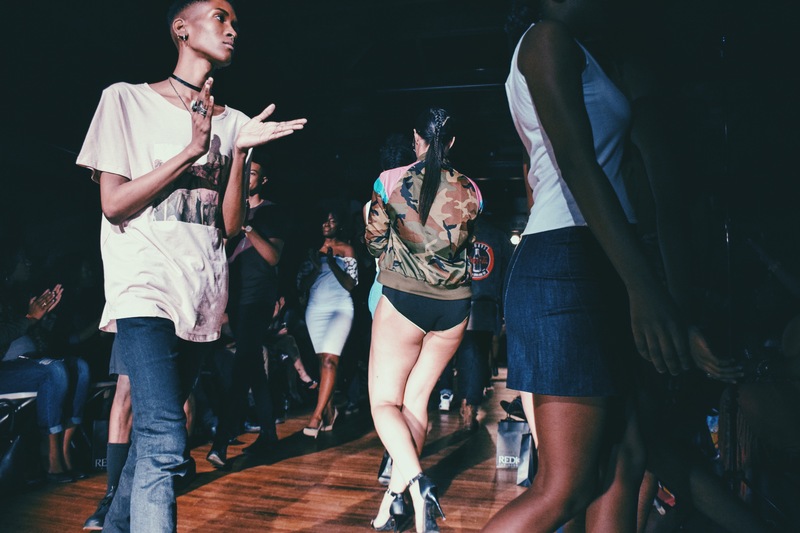 RVA fashion week help puts Richmond on the map for design and fashion which in turn helps local designers get recognition from all over the country. I’m just seeing this post and absolutely love it! Thank you for your professionalism and outstanding write up. I truly appreciate your support.